"The route on our bikes to Lang Son in the beginning was totally flat, so it was easy. The road surface was not great, lots of holes and pits, because money for road construction is not Vietnam. The busiest roads in Vietnam are everywhere in the worst condition. The towns and villages, with all their stalls along the way, which we passed on the way, were like a big market. That's very nice for hungry and thirsty cyclists as we are. This applies for the whole country, so enough supply on our route." 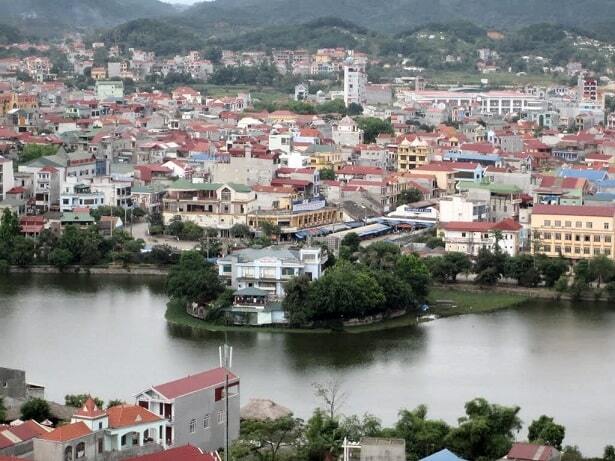 Lang Son - is a thriving city in the north of Vietnam, which is at the Phai Loan Lake and surrounded by green karst peaks. Both the province and the city have the same name: Lang Son. It borders on China. Most travellers pass through the town on their way to or from China. The border is 18 km north, just outside the town of Dong Dang, there is also a border crossing for the train, but there's no railway station. 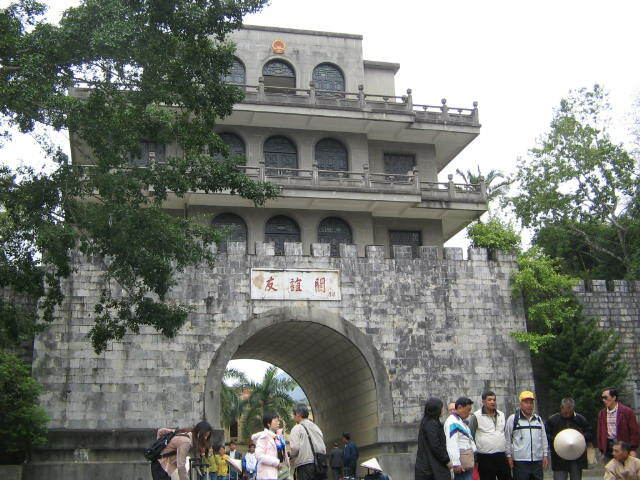 The pedestrian and vehicle border is known as "The Gateway of Friendship" (Youyi Guan). Vietnamese and Chinese residents cross the border to sell food and other goods in eachother country. Probably you need the city Lang Son to stay overnight. In the town Lang Son, there are nice street markets, which become in the evening markets night. The market has a lively jumble of clucking chickens, fresh produce and grilled meat stalls. A short distance from the city's Den Ky Cung Temple and the caves of Tam Thanh and Nhi Thanh. These are also worth a visit. The Nhi Thanh cave is 500 m long, it is a spectacular cave and it looks like the caves of Ha Long Bay. You can visit the cave via a staircase from the pagoda. The history of the province dates back to the Bronze Age, when this city was on the trade route between China (Guangzhou) and India. The economy is 80% dependent on agriculture, forestry and mineral resources. An important herb that is cultivated is star anise with aromatic, lance-shaped leaves. The area is largely populated by hill tribes of Man, Tho, Nung, Tay, Kinh, Dzao, Hoa, San Chay, and H'mong, but their influence is not visible in the city. Lang Son was partially destroyed by Chinese troops in February 1979. The ruins of the city and the destroyed village of Dong Dang border were photographed by foreign journalists as evidence of Chinese aggression. Although the border is still being heavily guarded, both cities are rebuilt and the China - Vietnamese trade back in full swing. 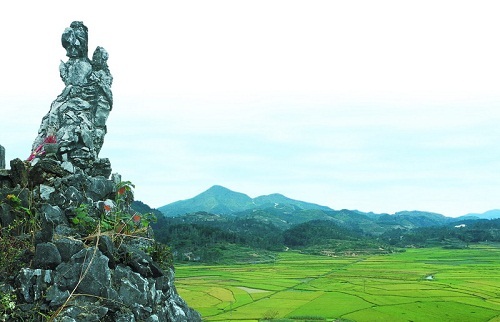 The biggest reason that tourists visit the province of Lang Son is the rugged landscape of karst mountains. Northern Vietnam is characterized by karst mountains and the outlying areas are a "must" for travelers who not only want to see the major highlights. 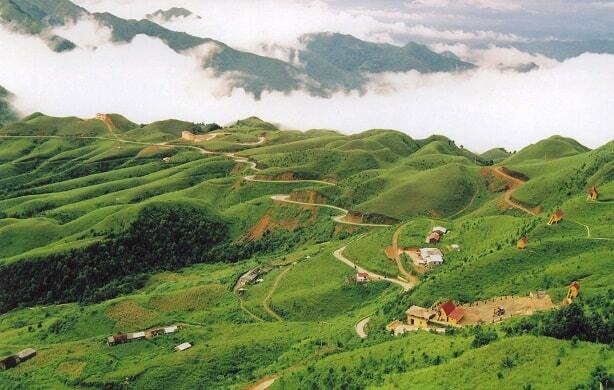 The highest point of the province of Lang Son is the Mau Son Mountain, which is about 1500 meters above sea level. There's a long and winding road upwards, where you have a beautiful view from the top. This pass is just as beautiful as the "Passage of Clouds" in Danang. The Mau Son Mountain is located about 30 kilometers from Long Son. Above the town of Lang Son puts a rock in the shape of a woman holding a child on her back: she called Vong Phu. According to legend, this woman waiting for her lover, who went to war. She waited and waited until they petrified. In the area around the capital you can find many stone villas from the period of French colonization, but some of these villas are closed to visitors. Lang Son has a tropical climate, although it sometimes may be snowing and it has four seasons. The average temperature is 21 degrees. The capital has a railway station and a good highway from/to Hanoi, which is 150 kilometers away from the city.